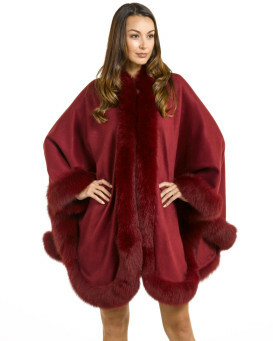 Truly a statement piece, this Red Cashmere Cape with Red Fox Fur Trim will be an exciting addition to your wardrobe. 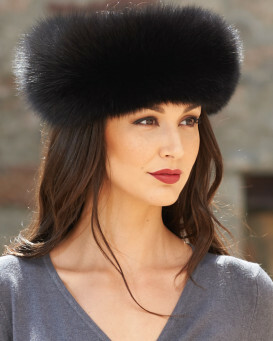 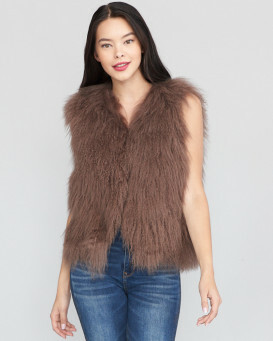 Stay warm with soft cashmere and enjoy the lavish feel of the plush fox fur trim. 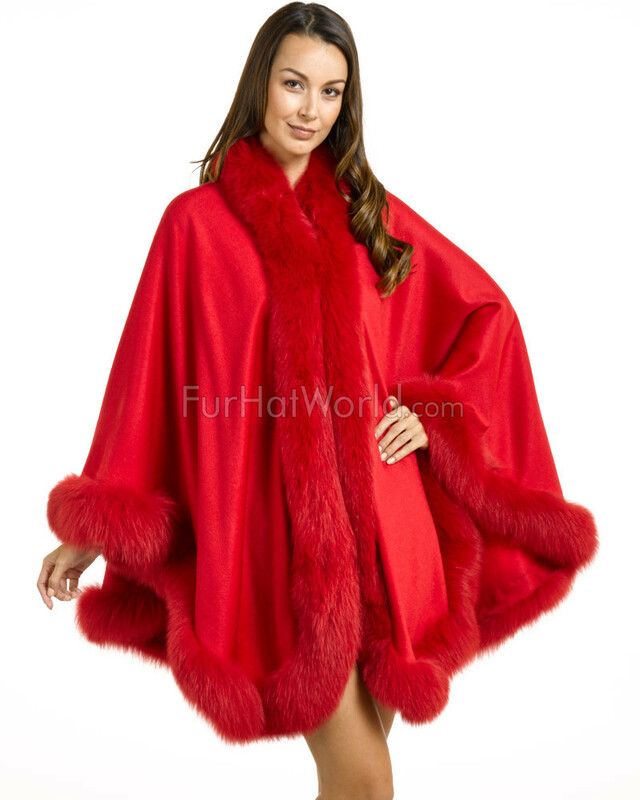 Red is eye-catching and you will definitely stand out from the crowd in this beautiful cape. 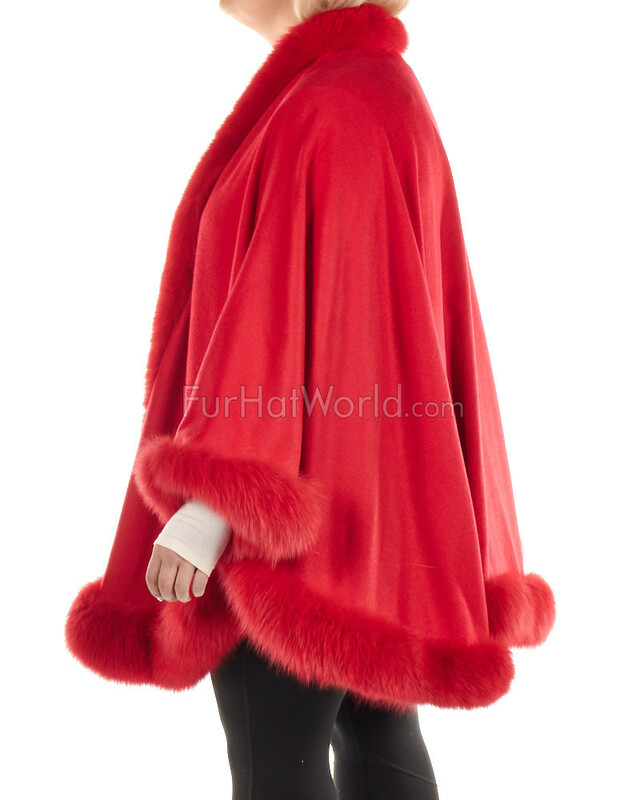 This cape will look spectacular paired with an elegant black gown for those formal evenings but it is also versatile enough that you can wear it casually throughout the day. Step out of the box with this beautiful Red Cashmere Cape with Red Fox Fur Trim.